This nice technique was applied to R.C. Bot Inc. after research on the technology of CD Project Red's The Witcher 3 was conducted. 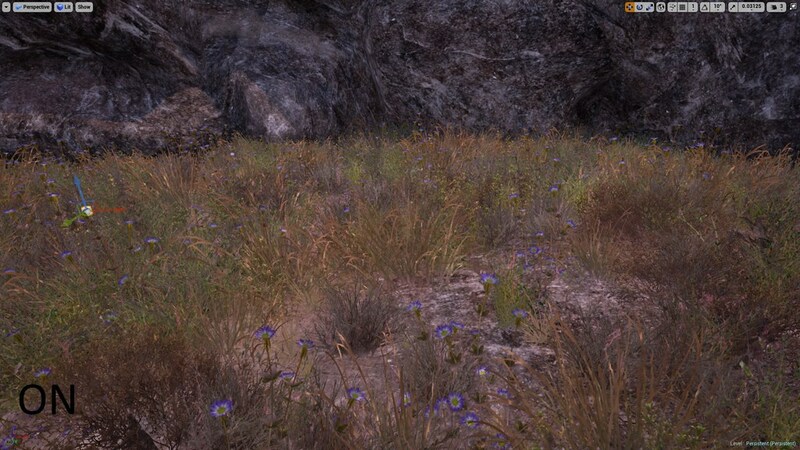 It is a rather subtle effect in this game: the regions of ground foliage that are close to the ground take on the color of the ground to some extent. The result is a smooth transition from the ground to the foliage, eliminating the typical sharp cutlines where foliage polygons intersect with the ground. The overall effect is a more homogeneous appearance of the scene, because the foliage takes on the ground color to some extent. 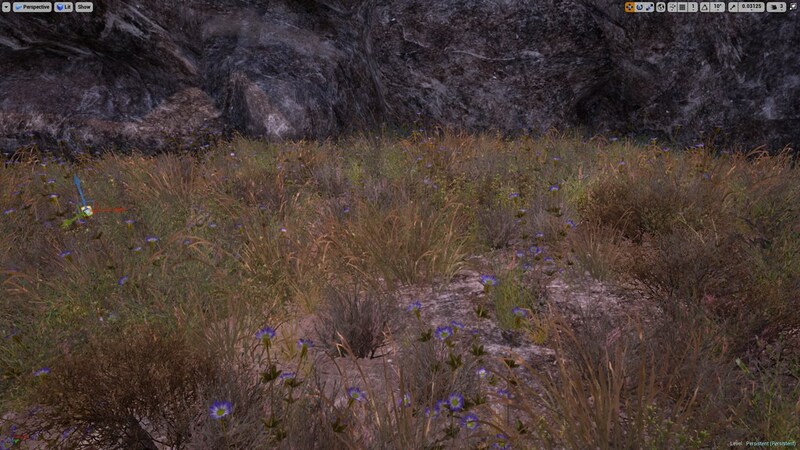 Variations of the effect also allow to color plants in other ways depending on the ground color below them. 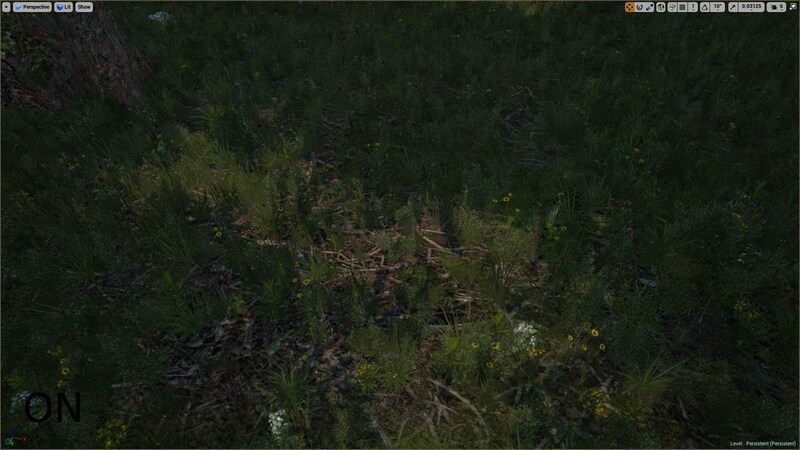 The technique basically involves taking a top-down render of the terrain, then converting this render and its 2D image pixels into coordinates of the 3D scene in Unreal Engine, and as a last step, check the position of the respective ground foliage and read the color of the top down map at that position/pixel. 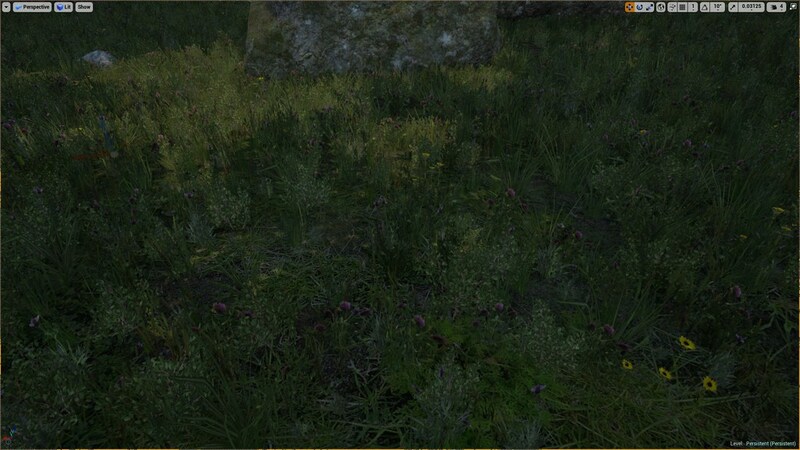 The nice blending of the foliage in conjunction with good ground textures that match the 3D foliage allow for much less foliage to be used in the scene without loosing a natural impression. It is overall a nice technique if the ground does not have complex features (sand/desert, especially snow). 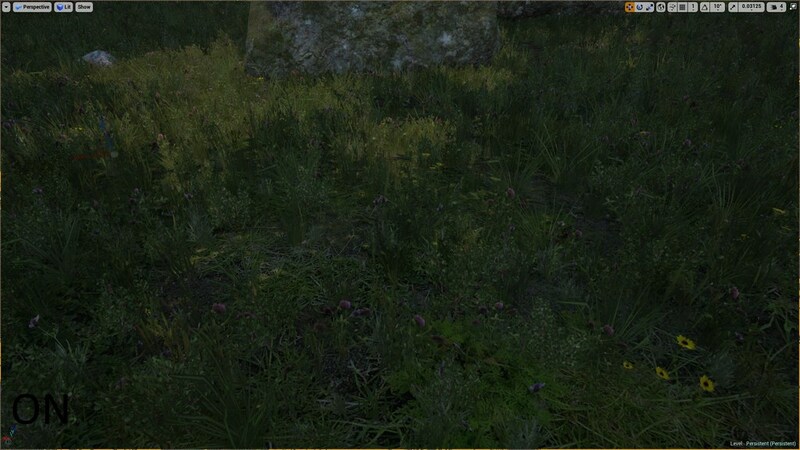 There the cutlines from foliage intersecting with ground are most visible. 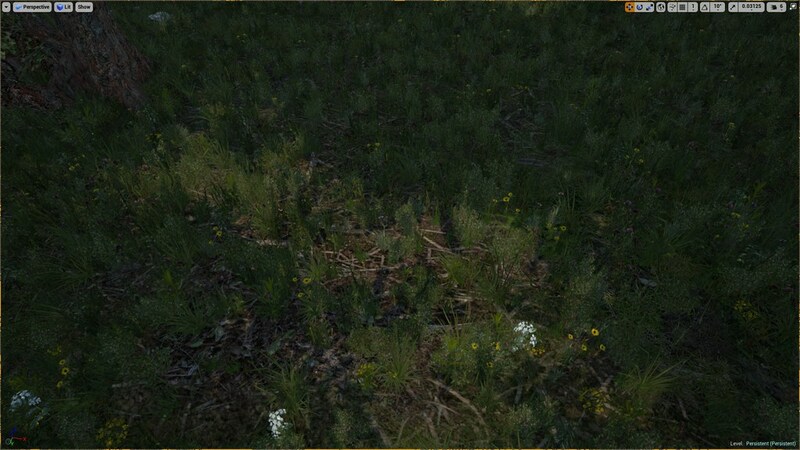 For ground textures with many features (forest), where a few foliage cutlines do not pop into the eye, one might argue if it is required.